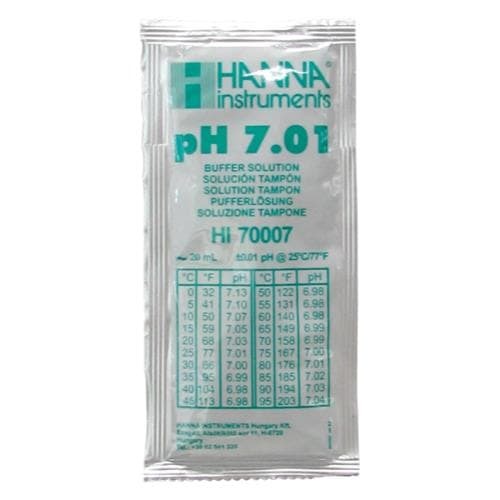 HI60007-02 is a premium quality pH 7.010 technical calibration buffer produced in accordance with ISO 3696/BS3978 standards using high purity salts, deionized water, certified weight-checked balances, and Class A glassware in a temperature controlled environment monitored with certified thermometers. Reported values are accurate to +/- 0.002 pH @ 25°C and are traceable to NIST Standard Reference Materials (SRMs). HI60007-02 is a premium quality pH 7.010 millesimal buffer solution that is NIST traceable and supplied with a Certificate of Analysis. Millesimal buffer solutions are designed for customers who require a resolution of 0.001 for their pH measurements. Each sachet has the lot number and expiration date stamped on it and is made of light block foil ensuring freshness each time one is opened. 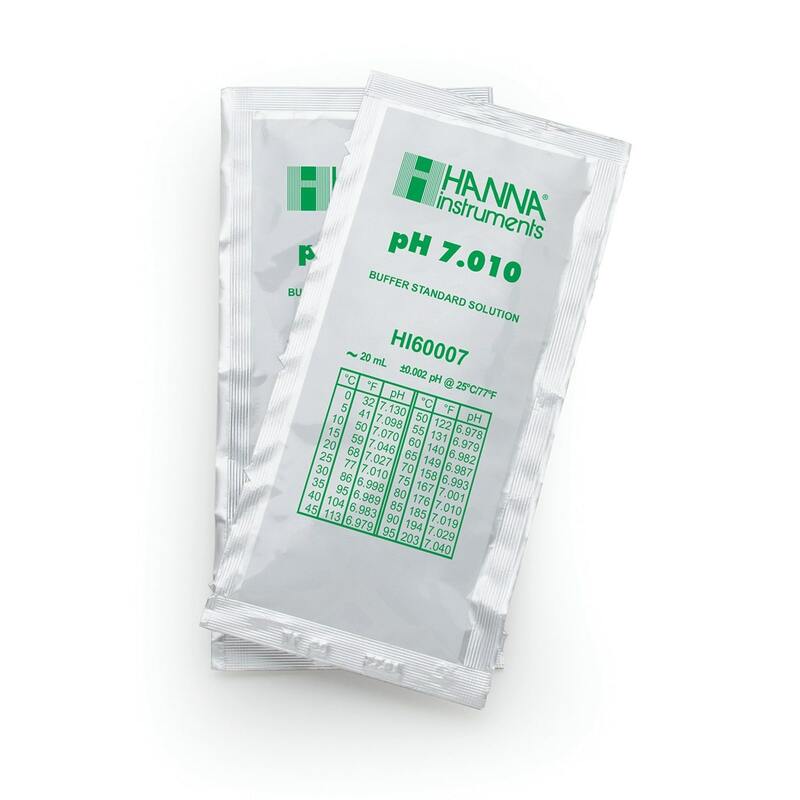 Hanna’s line of millesimal buffer solutions have been specially formulated to have an expiration of 5 years from the date of manufacture for an unopened sachet. The HI60007-02 is for 25 sachets containing 20 mL of buffer.